The 2018 Race of Remembrance proved to be bigger than ever before with 50 teams taking to the grid for the 5th annual race. The weekend had added significance in that it marked 100 years since the guns fell silent at the end of WW1. A new event featured in the Anglesey this year, the Mission Motorsport Annual Biathlon of Foolishness! These brave souls (pictured left) undertook the challenge of a run round a section of the circuit and then a very brief dip - PTI assisted - in the Irish sea! We once again returned to Blyton Park in October for a multi-activity day, this involved passenger laps, karting and car control. The weather was fantastic and SDC - the Supercar Drivers Club didn’t disappoint with a wonderful selection of cars. On Monday 24th September we once again descended on the iconic Goodwood Motor Circuit for our annual Mission Motorsport Invitational meeting. As always the event ran smoothly and we had a fantastic selection of cars on offer for our beneficiaries to experience high speed passenger laps around the track - and of course, the skid pan. Before the C1 24hr race a lucky group of beneficiaries visited the world famous Nürburgring in Germany for a once in a lifetime experience. Built in 1927, the Nürburgring was designed to be the ultimate test of man and machine, and it remains to this day the benchmark for manufacturers to test new cars. A bucket list item for any petrolhead, it is a very special place. 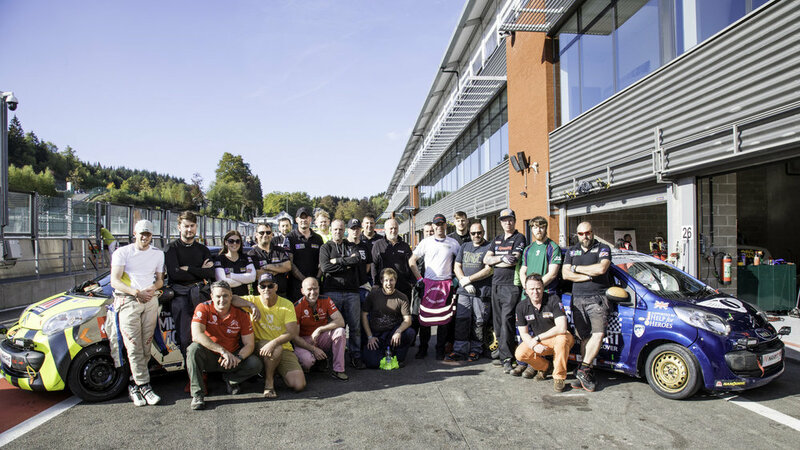 We sent a team of staff, beneficiaries and volunteers to Spa, Belgium on the 4th October in order to take part in a 24hr race. Mission Motorsport ran 2 cars with the pit crew made up from many of our beneficiaries. Spa Francorchamps is an incredible circuit and to race through the night - amazing.